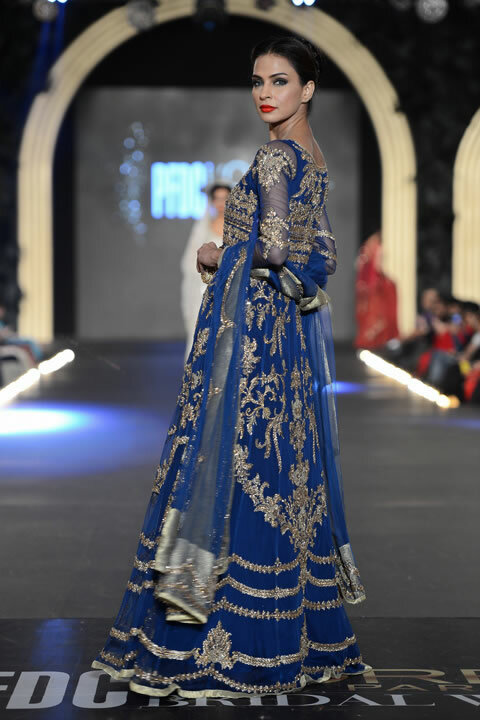 Tags: Bridal, Dark Blue, Heavy, Long Length, Maxi, Walima & Second Day. 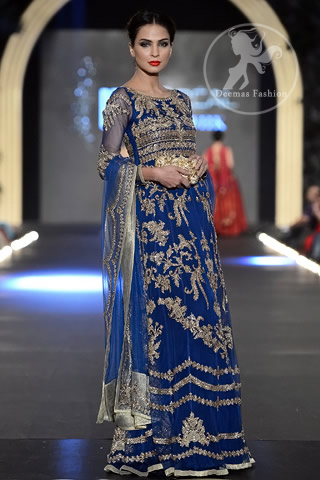 Royal blue maxi has been adorned with fully embellished bodice on front and back. Embroidered jaal scattered all over the maxi. Four sided embroidered border on dupatta and finished with dull gold piping.